Martin Luther was not only a theologian, but a pastor engaged in the care of souls. 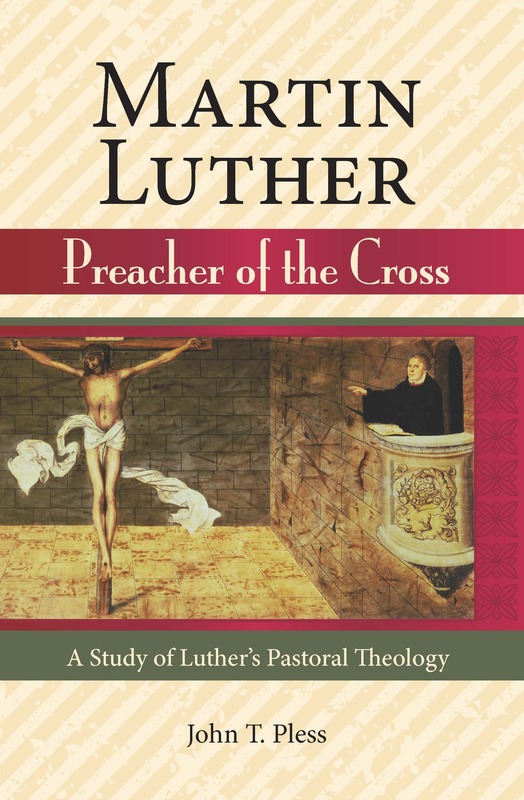 In Martin Luther: Preacher of the Cross, author John T. Pless makes use of selected letters to present compelling evidence for the reformer’s application of his evangelical theology to consciences burdened with sin, haunted by death, and afflicted by the devil. The following excerpt from Martin Luther: Preacher of the Cross is from the chapter "Pastoral Care of the Grieving." Examples of Luther’s funeral preaching can be found in the two sermons he delivered on the occasion of the death of Duke John (1468–1532), Elector of Saxony. Duke John died on August 16, 1532; Luther preached his first sermon on Sunday morning, August 18. 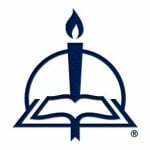 Luther preached a second sermon the following Thursday, August 22. Both were delivered at the Castle Church. In the first sermon, based on 1 Thessalonians 4:13–14, Luther seeks to console the congregation through preaching. In this sermon, we see Luther making a move that he often does in addressing the bereaved. He affirms that their grief is altogether natural. There is no virtue in trying to eliminate the reality of sorrow by attempting to fabricate a stoic strength in the face of death. The Scriptures, in fact, give us permission to mourn our dead. Paul does not disapprove of grief in his letter to the Thessalonians. So Luther says, “For the steadfast man is not the one who thinks himself so strong that he refuses to be touched when a good friend has slipped away; rather the Christian is one who is hurt but yet endures it in such a way that the spirit rules the flesh. For God has not created man to be a stick or a stone. He has given him five senses and a heart of flesh in order that he may love his friends, be angry with his enemies, and to lament and grieve when his dear friends suffer evil” (AE 51:232–33). Since our Lord Jesus Christ wept at the grave of his friend Lazarus, we are to be done with “this unprofitable chatter which would make sticks and stones of us and forbid us to weep and sorrow over the deceased” (AE 51:233). This discourse on the appropriateness of grief serves as a preface to Luther’s sermon; he really aims to proclaim the death and resurrection of Christ for the consolation of his hearers. Into the bitterness of our grief, God has mixed “good sugar,” says Luther (AE 51:233). That is, the sweetness of the Gospel, “ ‘that Jesus died and rose again’ [I Thess. 4:14]” and makes “it also certain that God will bring with him those who died in Christ and will not let them simply remain where we think they remain, but will bring them to himself” (AE 51:233). With the simple line from 1 Thessalonians 4:14 as the anchor for the sermon, Luther goes on to urge the worshipers to hold the death of the Elector and their own deaths under the death of Christ. The death of Christ, Luther contends, has a bitterness that is lacking in our death, for His death is for our sin, and therefore it is much more horrible than any other death. We are to learn to “mingle” and “cover” our dying with the death of Christ. No higher consolation can be found than to contemplate the death of Christ and “to see how mighty and glorious it has become and how it has devoured all other deaths, so that by comparison, this death is the most grievous and cruel of all” (AE 51:234–35). Rightly contemplating Christ’s death means that we are enabled not to see merely the corpse of the Elector but that of Christ Jesus: “Beloved, look not at this dead body; you have something higher and better to contemplate, namely, the death and resurrection of Jesus Christ. If you gaze steadfastly at this mirror and image, at Christ the Lord, who died and rose again, you will see where you will go and where those will go who have not fallen asleep in Christ, namely, that God intends to bring with him you and all others who have been baptized and have fallen asleep in Christ, because he has wrapped them in Christ’s death and included them in his resurrection and does not intend to leave them lying under the ground, even though for our reason and five senses there is no reason why this should be so, in order that faith may find room and we learn to trust God even in that which we do not see” (AE 51:235). We are to see our death through the lens of Christ’s death and in this way comprehend the mystery that these corruptible and perishable bodies “sown in dishonor,” to use Paul’s words, will be raised in honor with Christ. Only after speaking of Christ does the preacher turn to the deceased himself. Luther masterfully balances his language about the departed. “I shall not praise him now for his great virtues, but rather let him remain a sinner like all the rest of us, who also purpose to go to the judgment and hand over to our Lord God many a grievous sin, as we too hold steadfast to that article which is called ‘the forgiveness of sins’ ” (AE 51:236). Therefore Luther says that it would be pointless to “make out that our beloved lord was altogether pure” (AE 51:236). The Elector was a sinner for whom Christ died. That is the bedrock of Christian confidence. Yet this forgiven sinner also had a vocation: he was a Christian prince. Luther is not ashamed to extol the Elector’s faithfulness. Just two years before, at the Diet of Augsburg, the Elector suffered a “real death” (AE 51:237), says Luther, in that he openly confessed Christ, risking everything for the sake of the Gospel. This was the Elector’s real “manly death” in contrast to the “child’s death” that marked the end of his earthly life. The Elector had already endured the real death of scorn and contempt at Augsburg; his earthly passing Luther describes as a “baby death” (AE 51:238), for the Elector was taken by the Lord into the heavenly kingdom without fear or trembling. Luther repeats the imagery of the Elector being wrapped up and concealed in the death of Christ. Then Luther goes on to describe the beauty beyond telling that will bedeck the body of the Elector when Christ, who has devoured death, returns in glory. Using the death of Duke John as an example of a Christian way of dying, Luther returns to the potency of Christ’s death for us and exhorts the congregation to forsake their own self-made forms of holiness and cling to the divine promises alone that we have in “his dear baptism, his gospel, his Word and sacraments” (AE 51:242). From Martin Luther: Preacher of the Cross, pages 116–18 © 2013 John T. Pless, published by Concordia Publishing House. All rights reserved. Quotations marked AE are from Volume 51 of Luther’s Works, American Edition © 1968 by Augsburg Fortress, used by permission of the publisher. 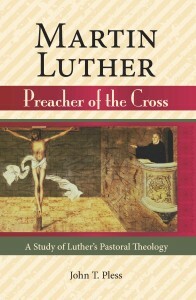 To order Martin Luther: Preacher of the Cross, please contact CPH at 800-325-3040 or visit www.cph.org.